DUMP YOUR WORRIES WITH YOUR NEW DUMP TRUCK!!! Pulling power you need to get out of a work horse of a truck!!! Priced to still take the family eat dinner after!!! the room to enjoy a trip out of town, and if you have a 5th wheel or something to pull behind you the 6.0 V8 will make that whatever you are pulling seem weightless even going up hill !!! Come in and take a look, we say yes!!! Heritage Motors is family owned and operated! We are a BUY HERE PAY HERE and have been in business for over 20 years!! Heritage Motors is now reporting credit through Equifax!! Come grow your credit with us!! Largest inventory is Central ARIZONA and Tri-Valley Area!! HOME OF THE $200.00 MONTHLY PAYMENT!! 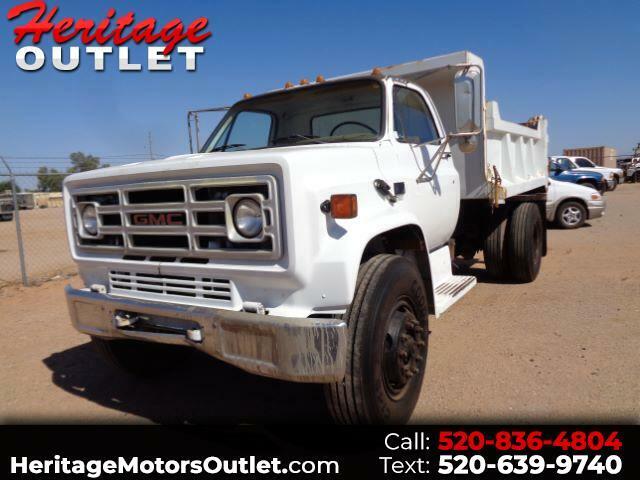 Message: Thought you might be interested in this 1988 GMC C7D042.